Is fifty a dangerous age ...? Olivia Penn is, in the immortal words of Dorothy Parker, feeling 'perfectly fine'. Her career is flourishing, her marriage is happy, her two grown-up children doing well. She doesn't see turning fifty as a problem - it's only other people who suggest she should. But when a health scare is followed by her best-friend's marriage breaking up, she's suddenly plunged into doubts about her own. As the past returns to haunt her, Olivia tries not to be defeated. But battling the preconceptions of others - as well as her own doubts - proves harder than she thought. Has she got to look 'elsewhere' if she's to be truly happy again? 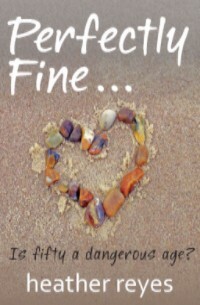 Perfectly Fine is a wonderfully perceptive and compulsively readable novel about life, love, change ... and finding that fifty can be a dangerous age.